As I was looking around on ANN seeing if there were any news worth checking out, to my surprise I found a post titled ‘Gintama TV Anime to Resume’. ASDFADLJFL;DFJA;DKJFALDKJ. :] ahh~~ I can’t even begin to describe how happy I am right now. I have been waiting FOREVER for this to happen. :3 I really love this anime. I LOVE IT. <3333 Why? Because of its dry and sometimes nonsensical humor and lets not forget the characters. 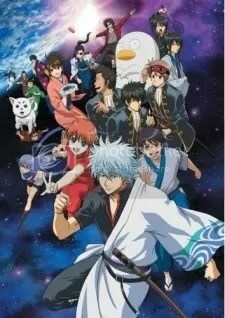 Anyone else as excited as I am hearing that Gintama is resuming? 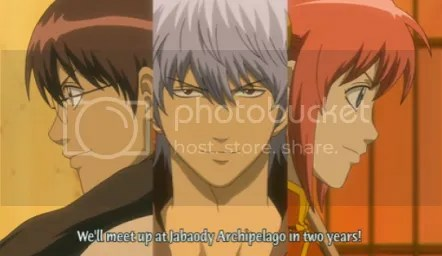 One thing that bugs me is that there isn’t an exact or approximate date when Gintama will resume. -sigh- I guess we’ll just have to wait for more information. It would be nice if it would resume during winter since that’s where the show left off at. 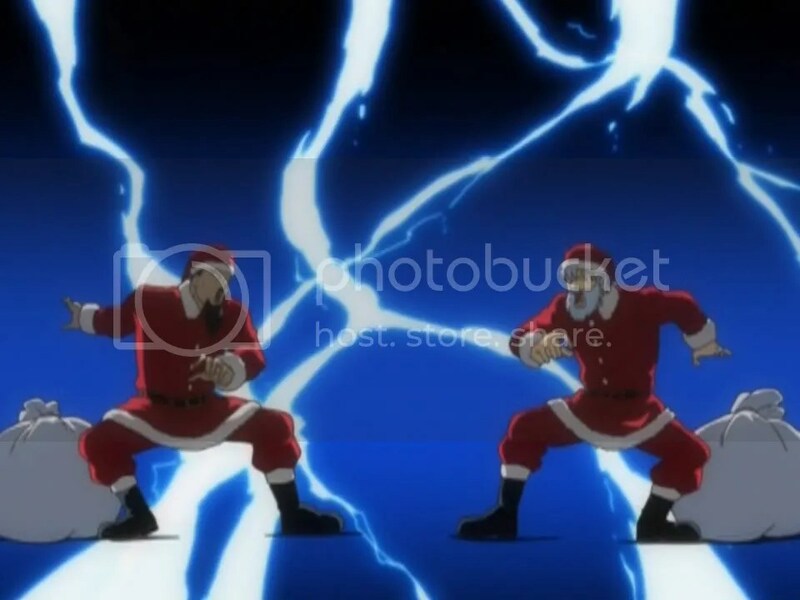 It left off with a christmas-y episode with fake santas and all that so it wouldn’t be bad for it to pick up from there. ANN’s News Article Regarding Gintama Resuming.